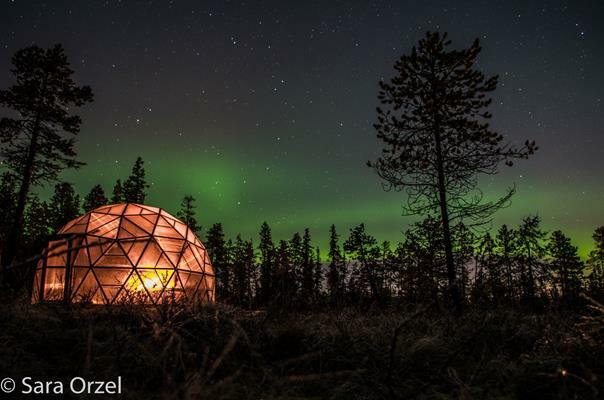 Spend the evening with us in our exclusive Aurora Dome far away from any light pollution and discover the magic of the Northern Lights! We will walk with you through the evening forest for around ten minutes, to the Dome. When we arrive at the Aurora dome we will serve you hot soup and bread as well as coffee/tea and tell you about the Northern Lights while waiting for them. We will go outside if the Aurora Borealis appear to enjoy their show and take pictures of that unforgettable moment. 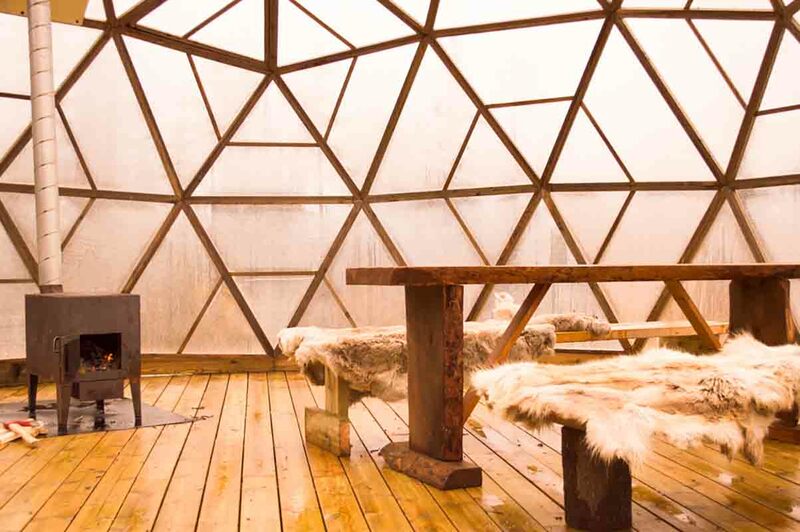 The biggest advantage of the Aurora Dome compared to waiting outside without a shelter or inside in a regular cabin is that you have tempered environment and can sit down on a bench while enjoying a bowl of hot soup, but it is not so warm that you have to take your winter gear off. We do have a nice log fire which will keep you considerably warmer than outside, but keep your hat on! The Aurora Dome allows you to just walk outside with your camera if you see the Northern Lights through the Dome wall and take pictures when they come to dance. 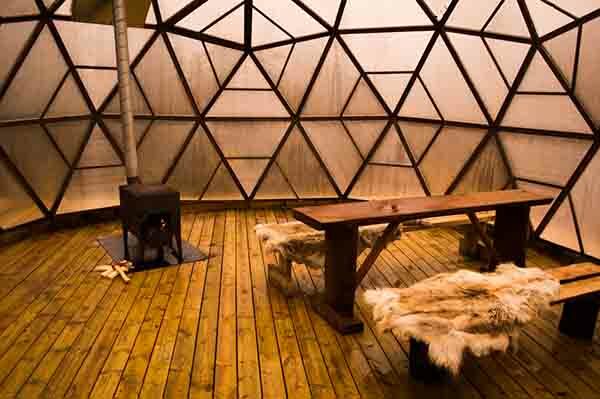 The Aurora Dome is located in a forest where you have no other source of light other than the lights of the stars and the small light from the candles & fire inside the Dome. Duration 4 hours including transfers. Price is 1200 Sek per person or 1600 Sek walking with Snowshoes, minimum 2 people. PLEASE NOTE THESE TIMES AND PRICES ARE FROM NOW UNTIL TO NOVEMBER 30, NOT INCLUDING 25 OR 26, The Tour and prices change after Mid-November into our Aurora Dome Winter Tours which is a very different, but as exciting format….because we have SNOW !!! Optional: If you want to spend a whole evening and night in the area can you book our sleeping cabin which is located at the starting point where we change you into winter gear. (8 bed cabin). Please contact us direct for prices & availability.